An easy and fast way to guide you into deep ALPHA-THETA relaxation levels. You will become quiet and centered. At this stage, you can do your own mental programming and visualization in problem solving and goal setting. 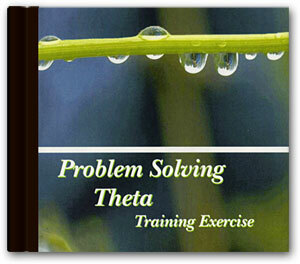 The gentle tapping of the Theta Sound guides you into a deeper, more relaxed levels of the mind. You will attain an inner peace. Being at peace is a wonderful state of mind and body. Jose Silva guides you into deep relaxation levels. When you are quiet and centered, you can do your own programming or visualization in problem solving. You can put into practice the formula type techniques like Mirror of the Mind, Dream Control or Mental Screen. The affirmations in this recording will keep you centered and motivated.